Win Tickets to see Trevor Noah Live! Terms and Conditions. 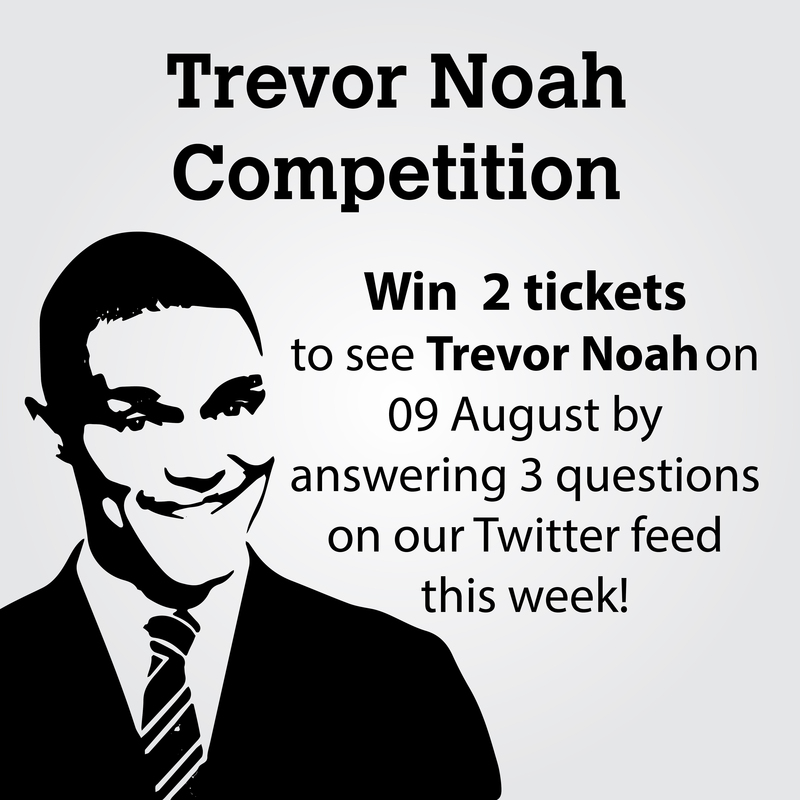 Stand a chance to win 2 tickets to see Trevor Noah live in Johannesburg on 09 August by answering 3 questions on our Twitter account this week. Questions will be posted on Monday 24 July, Wednesday 26 July and Friday 28 July. In order to qualify you will need to answer all three questions correctly. Those who answer correctly will be entered into a lucky draw and a winner will be chosen at random. The winner will be announced on Monday 31 July 2017. Please note that the following Terms and Conditions for Exclusive Books and www.exclusivebooks.com online competitions may vary according to the specific competition and may change from time to time to reflect new policies. 1. Winners must be able to attend the show at the Ticketpro Dome in Johannesburg, transport to and from the show is at the winners own cost. 2. Prizes may only be claimed by winners who live in South Africa. 3. If you have won an www.exclusivebooks.com or Exclusive Books competition within the last 30 days, you will not be eligible for the prize draw. 4. The judges’ decision is final and no correspondence will be entered into. 5. Exclusive Books reserves the right to change the prize. 6. Staff members of Exclusive Books and members of their immediate families are not eligible to win. 7. By entering the competition, you agree to receive notification announcing the winner(s), once the draw has been made. 8. Competitions are subject to www.exclusivebooks.com’s general Terms and Conditions.